Aug 27, 2018-Nepal earned a record Rs67.09 billion in foreign exchange from the tourism industry in the last fiscal year 2017-18 which ended mid-July, according to the statistics of Nepal Rastra Bank (NRB). The figure represents a steep 14.6 percent jump from the previous fiscal year. The country had received 940,218 tourists in 2017. A file photo shows a plane preparing to take off from Lukla Airport. The country’s annual foreign exchange earnings from tourism are calculated by adding the tourist service charge collected at the airport and monies earned by hotels and travel agencies, among other establishments. The calculation is also based on data received from money changers.The Tourism Ministry statistics showed that the average length of stay in Nepal stood at 12.6 days last year. Their average spending has been recorded at $54 per day. Nepal’s tourism industry experienced a dramatic turnaround after being hit by the twin disasters of a devastating earthquake and crippling trade embargo in 2015. The government and tourism entrepreneurs are expecting strong arrival numbers that is likely to cross the 1.2 million mark this year based on the average monthly growth of 18 percent as of July. “There are three factors—increased tourist numbers, appreciation of US dollar against Nepali rupee and the number of expedition members—that increases foreign exchange earnings in the tourism industry,” said Kashi Raj Bhandari, senior director at research and planning department of Nepal Tourism Board. “But we believe that the earnings reported in the tourism industry have been underestimated,” he said. “There is either leakage or there is no proper reporting on it,” he said, adding that Nepal has become an expensive destination. Even for domestic tourists, Rs5,000 per day will not be enough. According to Bhandari, they will survey and analyse eight key indicators—foreign tourist spending, domestic tourist spending, Nepali outbound spending, the supply and consumption by tourism establishment, employment survey, non monetary indicator (tourist arrivals and length of stay), hotel rooms and airlines services. Currently, the government estimates that tourism sector’s contribution in the GDP is less than 3 percent. However, the World Travel and Tourism Council in its report said that the total contribution of the travel and tourism industry to the GDP was 7.8 percent in 2017. The federal budget this fiscal year has announced the launch of Visit Nepal campaign version 3.0 in 2020 with the goal of attracting 2 million foreign tourists. 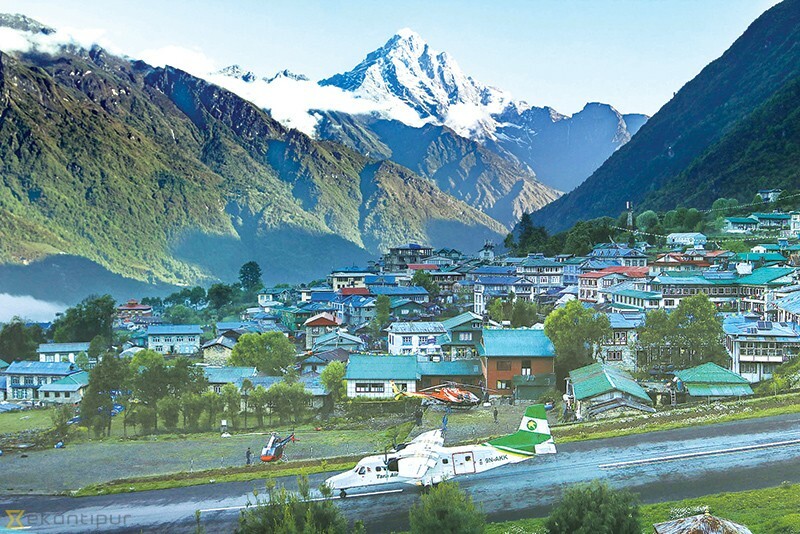 The government plans to increase the tourism earnings to Rs200 billion by attracting 2 million tourists.The first national tourism campaign was launched in 1998 when Nepal hosted 463,684 visitors, representing a growth of 10 percent. In 2011, the government launched another Nepal Tourism Year campaign with the goal of bringing 1 million tourists. Although actual arrivals fell short of the target, 736,215 tourists visited the country, or a growth of 22 percent over the previous year.